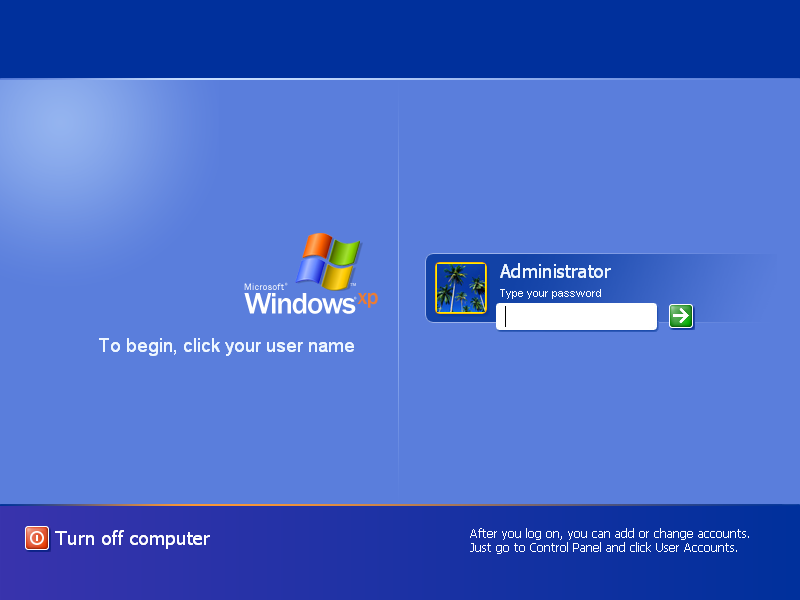 Today we have a Basic Tutorial for Windows XP, Windows XP Admin Login Bypass. Tutorial for beginners. So let’s get started! Just boot Windows XP And Get to the Admin login screen, when your up there Press ” CTRL + ALT + DEL Couple of times till a window appear with two boxes Login/Password. After that you need to Enter ” Administrator ” as a Username ” or ” administrator ” then leave the Password as blank as it is. And hit Enter you will be inside your Windows XP! Notice:- This will not Hack/Crack your Admin Password! If you wanna Remove Admin Password, You need to Hack SAM File inside windows directories to remove Password. If you have a fancy windows login page, things are a little more annoying. First, click “shut down” to shut down the computer. Then turn it back on. As soon as the screen turns on, press and hold F8. After about 10 seconds, a boot options menu will pop up. Now, in the menu, which should look like the picture below, select safe mode and press enter. It will show a whole bunch of gobbleygook for quite a while, (which you don’t need to know anything about)and then it will bring you to the login page. This time though, there should be an account named “administrator”. Click it, and either type “password” or nothing, whichever one works. If you don’t get in after that, you’re bummed. If nothing so far has worked, but there is a non-passworded guest account, you may have hope yet. Go into the guest account, click the start menu, click run, and then type in “cmd”. A black window should pop up. Then, after typing “net user administrator *” , press enter and you will be given directions to create a new password for the administrator. After typing in the new password, press enter and close the window. Log off, then get into the administrator account with the new password. Well, that’s the end. I hope this was useful, and if you have any questions or suggestions, please leave a comment.